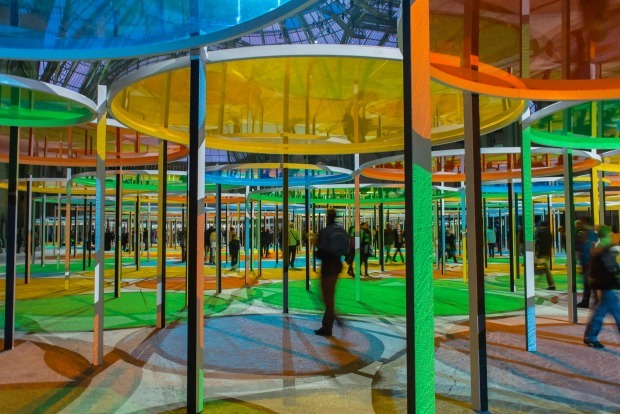 “Every piece I’ve done since the very beginning of my career has been based on the idea of a game, of what could therefore be called pleasure,” says French artist Daniel Buren, whose massive Like Child’s Play installation is unveiled at Sydney’s Carriageworks this weekend. “But I don’t always like to evoke the word ‘pleasure’ when talking about my work because, while I definitely get pleasure out of making it, that’s not to say people looking at it derive the same enjoyment,” he laughs. 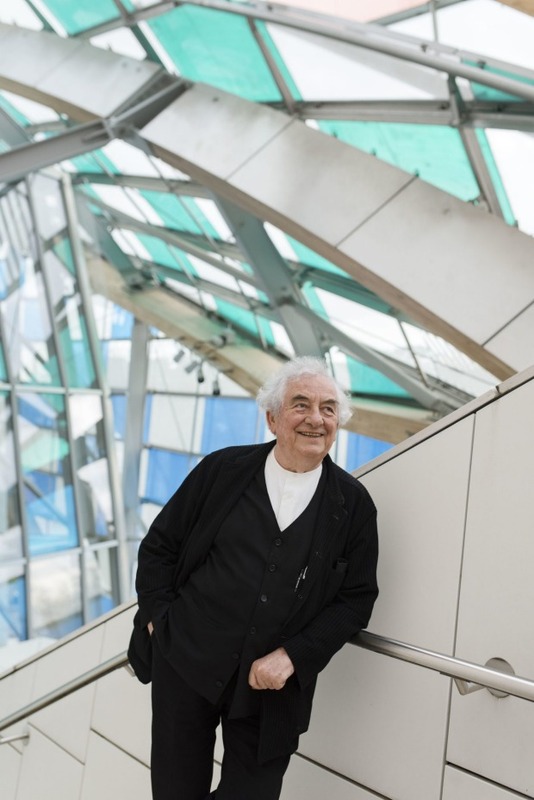 Still impish at 80, Buren is the eternal provocateur. 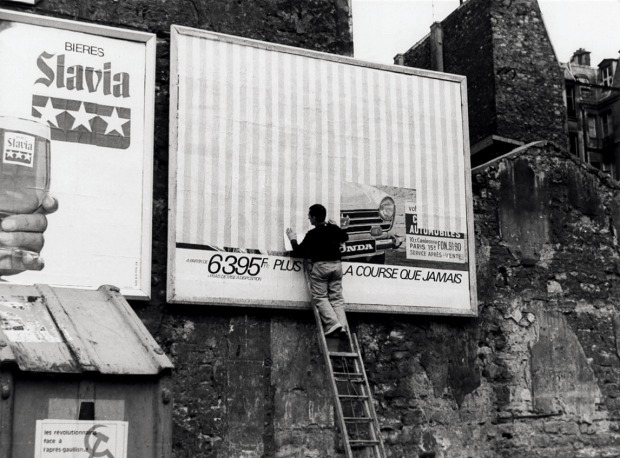 Since the mid-1960s, when he began pasting posters composed of repetitive stripes (white and one colour) on billboards and in Metro stops across Paris, he has wilfully toyed with the art establishment – even as he became one of its most important players. Like Child’s Play is inspired by the rudimentary building blocks devised by the 18th-century educational theorist – and inventor of the kindergarten – Friedrich Frobel. 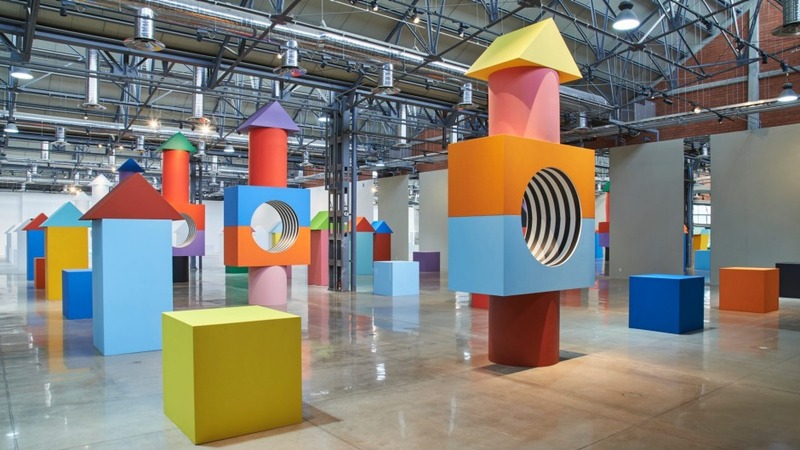 The super-sized installation of cubes, cylinders, arches and wedges is an adventure playground of solid geometries, designed to incite our inner child. In 1966 Buren aligned with Olivier Mosset, Michel Parmentier and Neile Toroni under the banner of BMPT, each adopting a reduced, readily reproducible motif – the single-format circle, the repetitive, truncated brush stroke – which would become their trademark, as anonymous as it was recognisable. 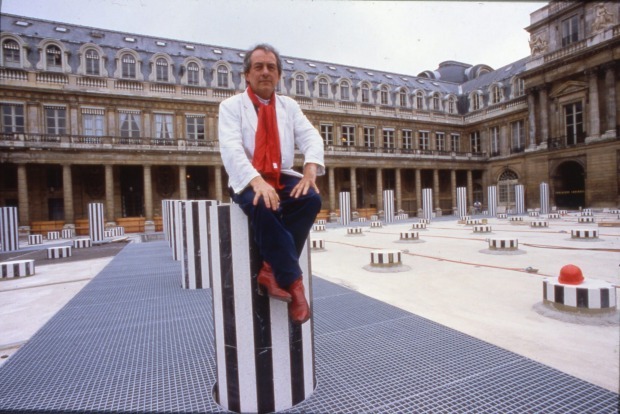 Buren became known as “the stripe guy”, repeating uniform bands precisely 8.7 centimetres wide on posters, canvases and, eventually, in alternating black and white marble on 260 columns of varying height in the courtyard of the 17th-century Palais Royal, opposite the Louvre, in 1986. Commissioned by the Mitterrand socialist government, Les Deux Plateaux (or, as it’s more commonly known, the Buren Columns) was intended to symbolise a new era in French cultural ascendance. Placed strategically outside the first-floor windows of the Ministry of Culture, it became the subject of fiery political debate – and Buren a figure of international repute, good or bad, depending on one’s view of politics, and art. Like Child’s Play features 100 giant building blocks over some 600 square metres, with some stacked volumes almost six metres high. Last summer’s monumental spray-painted drapery by German artist Katharina Grosse attracted 100,000 visitors. Buren, whose large-scale works figure in the permanent collections of the Paris Museum of Modern Art, the Tate Modern and the Guggenheim Bilbao, is expected to draw bigger crowds. 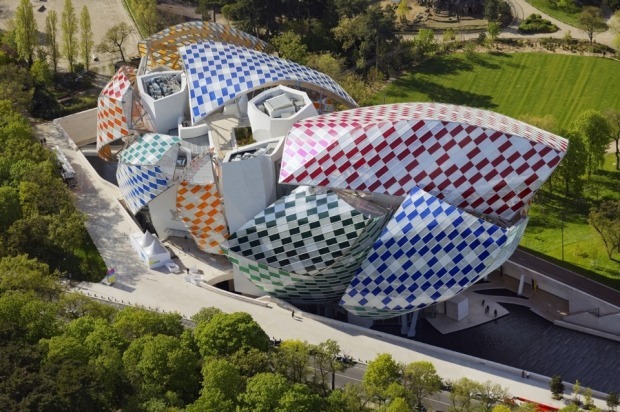 Like his forest of horizontal, coloured glass discs that inhabited the Belle Epoque Grand Palais in 2012, or the six-storey high striped panel that draped the atrium of the Guggenheim in New York in 2005, or the multicoloured filters he stuck to the glass sails of Frank Gehry’s Fondation Louis Vuitton in Paris two years ago, Like Child’s Play will be a chance to experience a very singular artwork by one of the world’s greatest living artists.